* Norne starts with pine and resin. The cloud of aroma is very realistic, yet spiritual at the same time. * At first, I thought I was wearing Serge Lutens Fille en Anglais until a bit of clove changed the mood. * Norne is dark yet warm, feeling like a matured christmas tree from a noir film. * Some moss and something a little musty enters the picture. This may sound bad, but it’s actually quite spiritual, like you are really in the woods. * The forest gets a little spicy with a touch of incense and pepper in the base notes – but the trees are still the main focus. Summary: Norne is a fragrance that everyone needs to experience. Made completely of forest absolutes, everyone will react to this completely differently. I am not an outdoorsy type of guy at all, but wearing Norne I feel like I am in the woods even as I sit at my desk typing on the computer. The scent is magical and really transports you somewhere special. Norne would make an amazing gift for friends who hike or like to commune with nature in their own spiritual way. I can’t imagine wearing Norne in an office setting, but it’s great for evenings and weekends. Although it’s an eau de parfum, it feels like a perfume oil and with its dark color, be careful wearing it with lighter-colored clothing for possible stains. 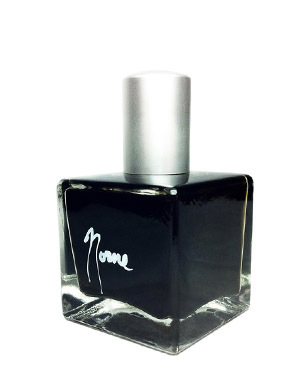 Norne is a special fragrance that smells like it should cost at least 5 times the retail price. Slumberhouse Norne is available from Indiescents and the Slumberhouse website. Wow, sounds pretty amazing. I love those green, “foresty” or woody colognes a lot. This one seems pretty reasonably priced too. Just placed an order for a sample on indiescents! Let me know what you think. I think it’s pretty magical. Norne is an incredible and mystical fragrance. It is a bit stronger than a cologne – the concentration is somewhere between EDP and extrait. I like reviewing perfumes too, and I love reviewing great ones. I enjoyed reading all of your reviews. Stumbled it for you. Thanks! Anothergreat review. “Olfactory outsider art” is high praise! That came from another blog.. I think I attributed it in the interview.